Decrease restricted movement of the limbs through Trepadone. Decrease restricted movement of the limbs through Trepadone. Special Instructions: Return Policy: Unfortunately, we cannot accept returns on any Medical Supplements. 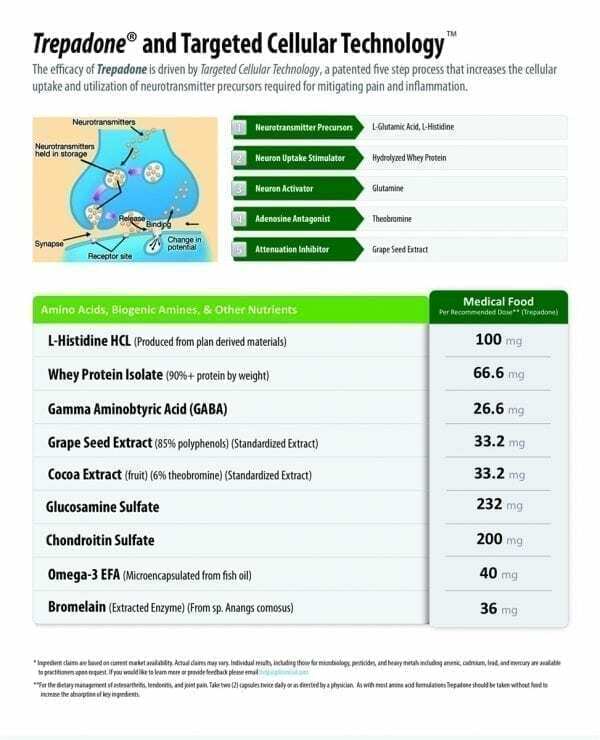 All natural, FDA approved Medical Food for the dietary management of joint pain. 120 capsules. Take 2 capsules twice per day (on an empty stomach). Allow at least 3 months of continuous use, for maximum benefits. Prescription required. Fax to 704-896-5809. If you do not have a script, a complimentary evaluation will be provided by Dr. Lori Schneider. If you would like an evaluation, contact me via email at lorijp@bellsouth.net prior to purchasing the product. No tax and standard shipping is included. 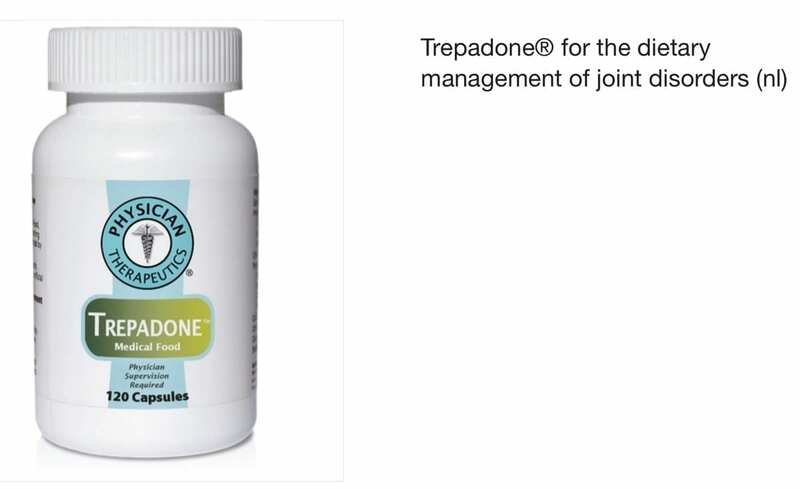 Trepadone® for the dietary management of joint disorders. 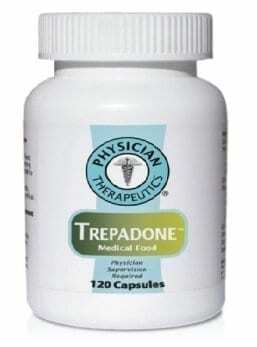 Trepadone capsules by oral administration. A specially formulated Medical Food, consisting of a proprietary formulation of amino acids and polyphenol ingredients in specific proportions, for the dietary management of the altered metabolic processes associated with pain and inflammation related to joint disorders. ammation in the joints. 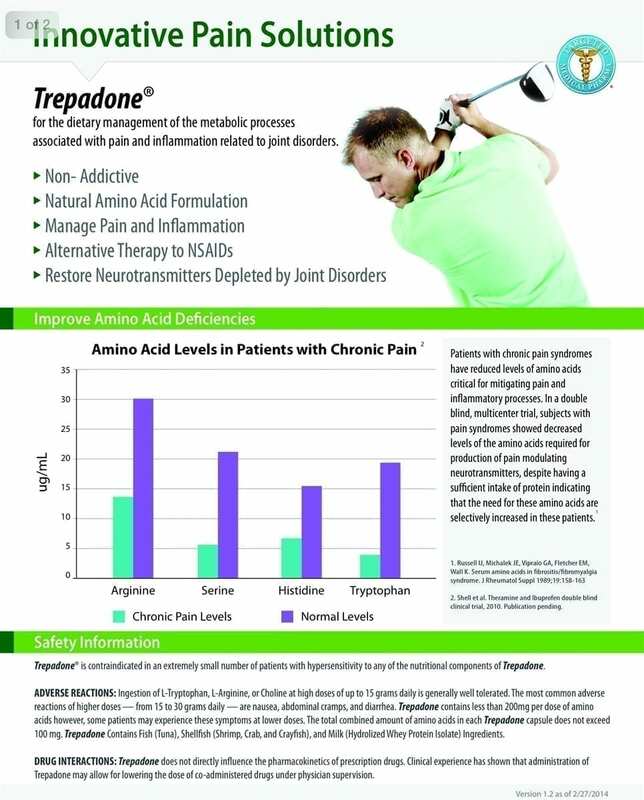 Trepadone also contains glucosamine and chondroitin sulfate which help maintain the structural integrity and functional properties of joints. Is Trepadone Right For Me?